What’s the difference between salt and sodium? 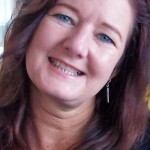 Posted June 13, 2014 in FAQ, Tags: salt, salt and high blood pressure, sodium low sodium kidney diet by Sara Colman, RD, CDE. Salt is composed of two minerals sodium (Na) and chloride (Cl). Table salt (NaCl) contains about 40% sodium and 60% chloride. One teaspoon of salt contains about 2,300 mg of sodium. As much as we are told to limit sodium in our diets, we all need some sodium for good health. However, the average American diet contains about three times more sodium than is healthy, which leads to high blood pressure and other health issues. Many natural foods contain sodium organically; however, in much lower amounts than processed foods. 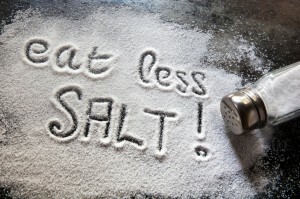 Processed and restaurant foods are the culprits for the high levels of sodium in today’s diets. By reading food labels you can see how much sodium foods contain to make better choices. Looking for labels with “low sodium,” “reduced sodium” and “no added salt” is helpful, but always look for the nutrition label to see the actual amount of sodium. Eating natural foods and cooking these foods yourself are the best ways to control your sodium intake. For people with chronic kidney disease, the goal according to the Dietary Guidelines for Americans 2010 should be to consume no more than 1,500 mg of sodium each day or the amount prescribed by their doctor. People on dialysis find it easier to control fluid intake when sodium intake is lower. Basically, when it comes to the difference between salt and sodium, remember that consuming salt and processed foods is the ways we get sodium in our diets. Every tinned or packaged item I buy is packed with sodium! What do I do? My blood pressure keeps high because of all these processed foods.What can I eat that has little or no sodium? It is difficult to completely avoid sodium. However, doing more fresh foods that you are having to cook on your own can help reduce your salt intake. This can cut down on the amount of extra sodium you are getting. Buying unprepared meats, fresh or frozen fruits and vegetables. These few things can get you started on cutting the sodium in your diet. Here is an article that may help you with meal planning as well. Can you please send me the article as well? This is the article on the low-sodium diet. You will need to copy and paste this in a browser. Is this the article you are referring to? There can be many causes of loose stool, from foods you have eaten to medications. You may want to discuss this with your doctor to see if you would need to see a gastroenterologist. Thank you for your questions. Salt and sodium are interchangeable. Sodium chloride is salt, so you will sometimes see them used to mean the same thing. On a food label you will find sodium on the label as a number, in milligrams. This shows how much sodium, or salt, is in that product. Just happy to found you today here in google, by the way, I have a daughter who is now turning 17. she was diagnosed with Nephrotic stage 4 when she was 5 years old. But thank God she didn’t take any steroids medication but she is still taking Enalapril on a daily basis and vitamin e 200iu until now. She is very much active in school but we are still monitoring her diet still (no salt). I would like to ask if you can suggest any specific diet plan for her. Thanking you in advance for taking the time to read and I’ll be waiting for your reply. Thank you for your question. It sounds like she is not currently on dialysis. Here is a link to connect her with a dietitian that can work with her stage 4. Due to our cultural things sometimes we are not allowed to take salt does it mean that we don’t have to take the food with sodium? If you could clarify, do you mean you would not be able to add salt to foods? Most foods have salt/sodium in them, either naturally or added to. Salt and sodium chloride are one in the same. I hope this helps. For as long as you are healthy (80 percent of us) Salt is good for you … we don’t consume enough of it. In addition, Salt is not addictive and any excess will be discharged via urin and other… Salt is a necessity and also where most of us get our much needed iodine. Enjoy salt and your body will love you! PS.. the problem is sugar not salt. It is well known that the typical American diet is high in sodium. If a person is at risk or has high blood pressure, kidney disease, cardiovascular disease or diabetes a reduction in salt is most likely part of their treatment plan. Most of the sodium we consume comes from processed and restaurant foods. Returning to home-cooked foods may be the best way to reduce sodium intake. I agree sugar is another dietary culprit. If salt is iodized the ingredient list will tell you—salt, iodine–and the label will include “iodized salt”. 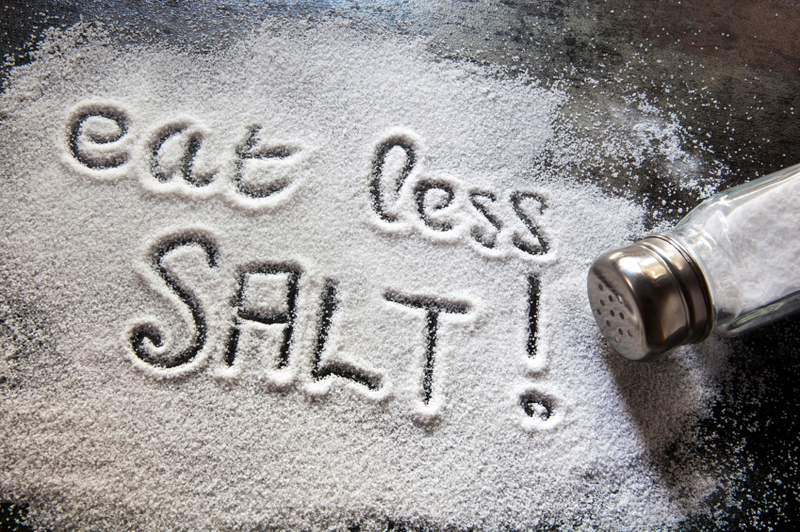 If you have kidney disease or high blood pressure you may benefit from limiting salt intake. Eating healthy is best!